My main area of interest, experience, and expertise, is in WEM sound equipment so I deliberately steered clear of adding a section relating to guitars. Also, there is already the excellent Watkins Guitars website run by Reg Godwin which has much more info on guitars than I could ever assemble. 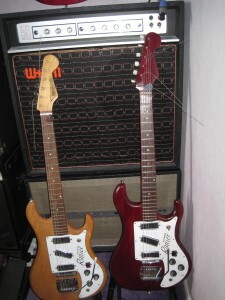 However, I’ve had one or two enquiries about WEM guitars and I do still have a pair of Watkins Rapier 33 guitars. I’ve also very kindly been sent some interesting pics of guitars so I’ve decided to add this relatively short section. I’m also aware that Reg is no longer accepting communication regarding his website so if anyone has any info or any pics regarding Watkins / Wilson guitars that they would like to share, I’ll be happy to add them to this section and, if there is sufficient interest and input, I will expand the section accordingly. Watkins produced guitars for about 20 years from the late 1950s until the late 1970s. They started off with Watkins guitars around 1958 but the changed to Wilson in 1968. By far the most well known and popular guitars were the Rapiers. They gave budding amateur guitarists (myself included) who couldn’t afford the vastly more expensive Fenders and Gibsons, the chance to own and learn the guitar. 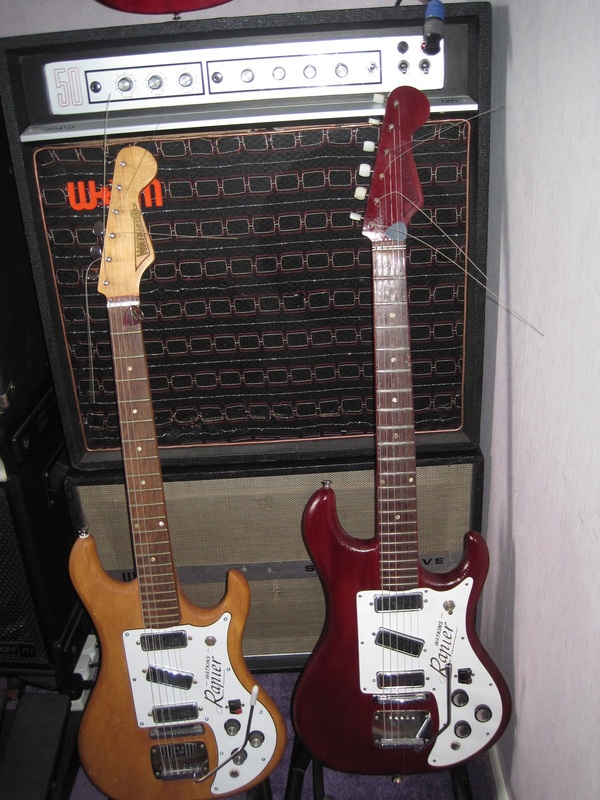 They weren’t the best guitars in the world but they served their purpose very well and I’m sure there are many thousands of guitarists, past and present, who may not have bothered learning the guitar if it wasn’t for Watkins guitars and amplifiers. If anyone has any pics or info on Watkins guitars which they are willing to share, please send them to me at WEM-Owners@hotmail.com.